You know how there are some cities where ten minutes after arriving, you exclaim, “I could live here!”. I said this in Amsterdam even before our cab arrived to the hotel. And after spending a great weekend there, I decided I must live there…someday! One: Bike-friendly, not lots of cars. Not that I am good at biking (I had a near death experience with a tram in Amsterdam) but I do appreciate how everyone bikes everywhere. 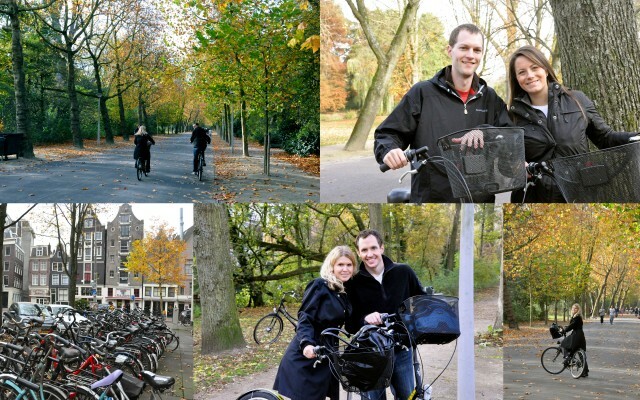 There are 700,000 residents in Amsterdam and 700,000 bikes! Two: Romantic canals, perfect for strolling or biking leisurely. The canals in Amsterdam were just as beautiful as Venice, just in a different way. It feels magical when you are there. Three: Cozy bakeries & cafes. Quaint adorable restaurants. A highlight for us was an Indonesian rice table on our first night, captured in the second photo, taken by A. Note that our “good food” measuring stick is off since everything in Geneva is so bad. 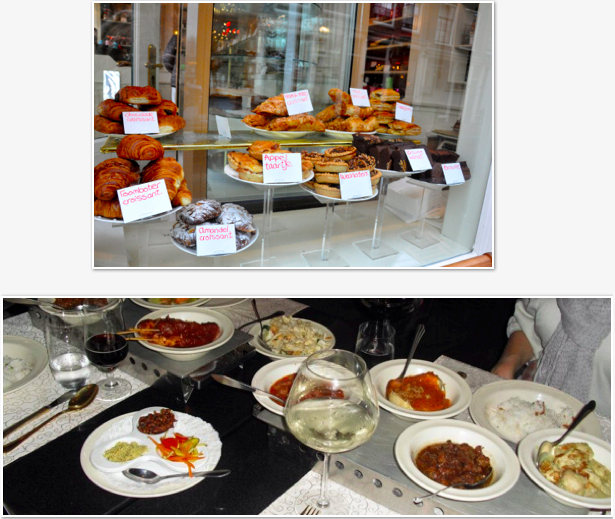 But the cuisine of this city would have wowed us pre-Geneva as well. 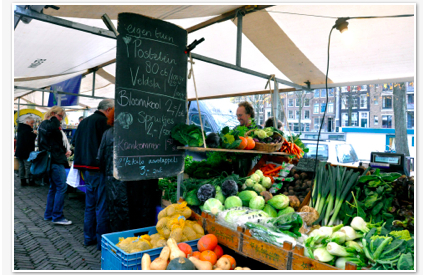 Four: Plentiful open-air markets, including gorgeous flower markets. They are known for their flowers. 40% of the world’s flowers come from The Netherlands. I bought a hand-painted coffee mug of a street scene as my souvenir from a local artisan. 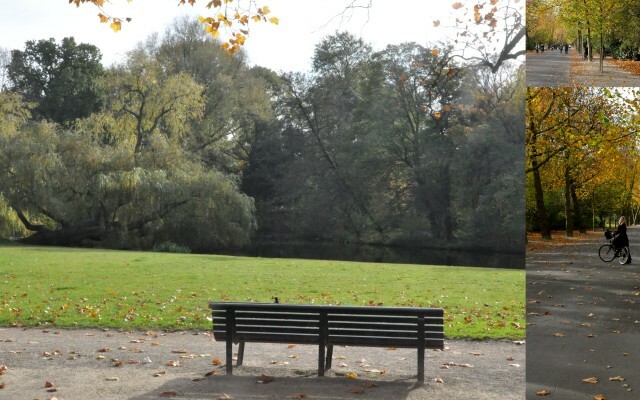 Five: Peaceful parks. Wide bike paths, spaces for BBQing, music, and tons of people enjoying the weather. Six: Intriguing museums, history & culture. 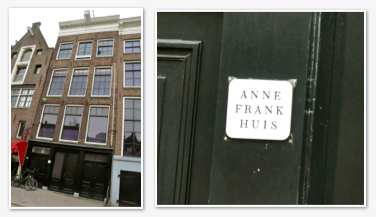 We hit the Anne Frank House & Van Gogh museum. Note, I am on a Van Gogh pilgrimage and have now hit 2 of his main residences 🙂 There are also 45 other museums in Amsterdam. Seven: Sweet “brown bars” and windmill bars. The ones we visited were Van Zuylen and Bouwerij ‘tiJ. Sepia photo by A. Eight: A unique architecture. I love skinny buildings. I would even be okay with uneven floors as I am sure all these buildings have. Note Gabe standing straight up next to one of the older buildings to show the angle of curvature. Nine: Delicious beer all over the city and at Heineken. Again, not used to good beer in Geneva. Ten: The presence of Life. Sometimes I am not sure Geneva has a pulse, so the lively feel of Amsterdam on a weekend was a really much-needed change of pace. Day or night, people are walking, biking, conversing, and enjoying life. They seemed to be all smiling and friendly. Since A & A, our travel buddies, were staying with a local, we had the added benefit of attending a real Amsterdam party Saturday night for, on a rooftop along one of the canals. It was organized to gather prior to “Museum Night” which we all attended. The great folks we met verified how fun-loving the residents are and we were a little sad when we thought of what Geneva lacks on the fun-scale. A bonus #11 is that while it is not the national language (Dutch is), everyone spoke beautiful English. It was a great relief to step into English-speaking territory for a weekend. Sometimes it just feels good for one’s self esteem to not sound like a four year old. 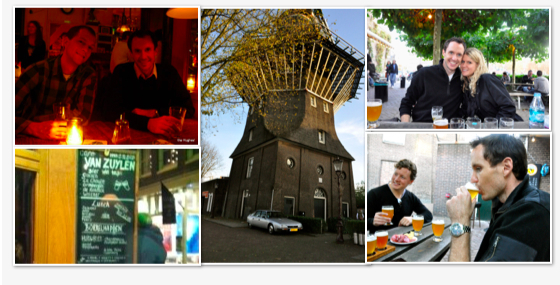 The only downside to amazing Amsterdam for me was the RLD. It totally wasn’t what I had envisioned but still seedy and couldn’t wait to get back to the other parts of Amsterdam I had become enamored with. This entry was posted in Cute Towns, Food, Wine & Beer, Travel: Europe, UNESCO sites. Bookmark the permalink. Amsterdam is now on our “bucket list.” We had always wanted to go see the tulips in bloom in the Netherlands. Seeing Amsterdam thru your blog has confirmed this a must. Loved your artwork & hoped you made some sells. 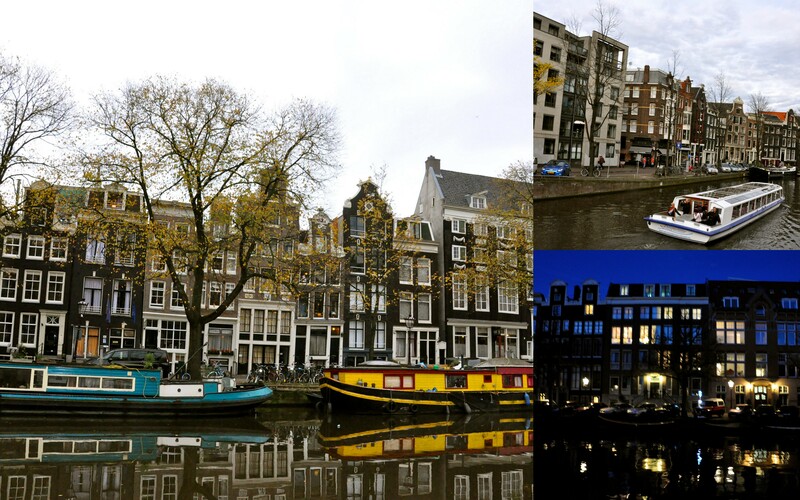 Lauren, I loved your photos of Amsterdam which made me remember how much I love Northern Europe. I’d forgotten so many of those reasons for loving that particular city, but you are so right.And though perhaps not intended to be hilarious (as for instance Reasons to learn French, # 98) I sure did laugh:”good food measuring stick off because everything in Geneva so bad…””sometimes not sure if Geneva has a pulse…”the “near-death” tram experiences and”Sometimes good for one’s self esteem not to sound like a four year old.”Keep writing…you write so well!! !